Outside our window there is a big crabapple tree. 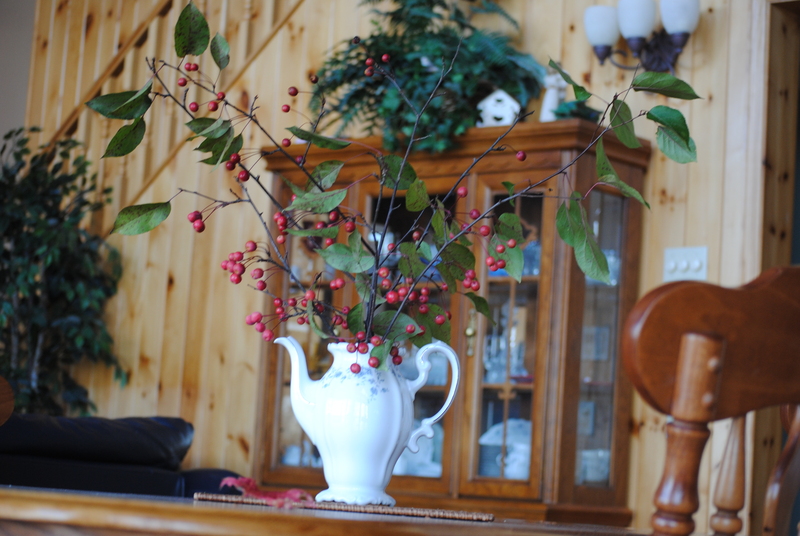 I went outside, cut a few branches off and then looked around the house for something to put them in. The branches were pretty heavy and I needed something that would not get knocked over with our high traffic living room/kitchen. 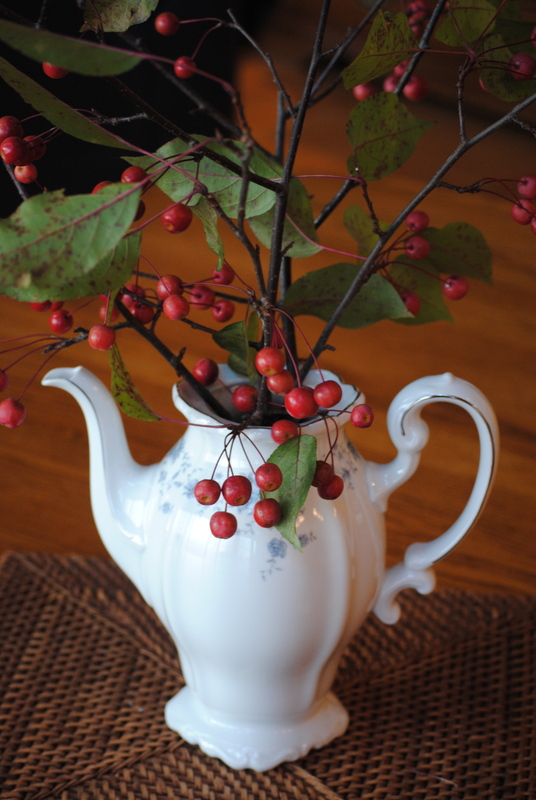 I found this beautiful teapot in a cupboard and it has been our centerpiece for the past week. Get outside and find something to brighten up your house!